Lenzie Moss (AKA Glasgow based singer, songwriter, guitarist and keyboardist Finlay Macdonald) took the time to speak to Andrew R. Hill about the creation of his marvellous debut album (under this alias), his songwriting process and the future. It’s an album that is catchy, upbeat, wistful, erudite and darkly humorous – do yourselves a favour and check it out tout de suite. Photo by Jenni McKenzie. Image courtesy of New Town Records. What was the origin of Lenzie Moss? After playing with Teenage Fanclub, BMX Bandits and so forth, what made you finally want to present your own songs (or had the desire always been there)? I've always had some vehicle for my own songs - first Speedboat, then Music and Movement (that have released records anyway) - I just decided I wanted to 'go solo' and make it my thing completely as these were collaborations to some extent. I went for the pseudonym 'Lenzie Moss' because someone had already taken mine (the piper) and I also didn't feel my name sounded like the kind of music I wanted to make. People don't really get it though - and maybe I'm not that committed about it - so I end up going along with Lenzie Moss as the band name too. Basically I wanted a project that I could stick with without relying on others sticking with it to be able to do it. What was the genesis of Introducing? Was it written/recorded over a matter of weeks, months, or years? Was it rigorously planned or a more organic process? It was written over about two years and was fairly organic. I tried to plan it, but plans can fall through… The songs mostly reflect the stuff I was going through in my life at the time…kind of a mid-life crisis if you like. I feel the next album will be more positive and varied in content. But this was a good way of finding a Lenzie Moss sound. [It’s] not quite there yet, but maybe next time. Who and/or what would you say your primary influences are? The lyrics on the album are very strong, how important are they to you in the songwriting process? Does it come very naturally or does it take hard graft (or a bit of both)? Image courtesy of New Town Records. I've worked very hard at writing lyrics, but now I feel it comes quite easily - only after years of trying! Hopefully it’s not too late. Melodies and music come much more naturally. My primary influences are Burt Bacharach, Scott Walker, Elvis and ‘60s guitar pop, I guess. Oh, and Chic. Biff Smith from The Starlets sang [the Mort Shuman translation of] Jacques Brel’s Jackie with you at your gig at Mono in August. Introducing the song, he said that your songs reminded him of the European songwriting tradition of Brel, Scott Walker [an American with a very European sensibility], etc. 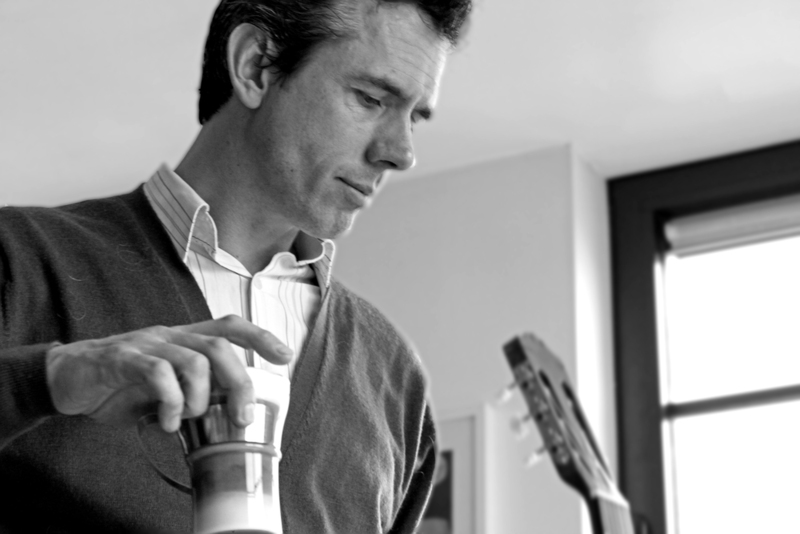 - do you have an affinity for that kind of songwriting? Yes, in that I love Walker and Brel - although I don't really speak French. I try and write lyrics that are natural sounding - like you would actually say it, but with just enough imagery and poetic 'devices' to keep it interesting. Hal David is one of my favourite lyricists - he was a master of this. How did your experiences touring and playing with the Fanclub/Bandits/etc. feed into your performing and songwriting, if at all? Well - they are influences too - because I worked with them and because I was a fan before I joined them. A lot of Fanclub and Bandits approach has rubbed off because that was kind of my apprenticeship. One of the main things has been to try and capture a performance in the studio - all as live as possible. The Teenage Fanclub/Jad Fair album Words of Wisdom and Hope was a huge eye opener to me as we wrote and recorded it in about two days. It has a great energy as a result. Thinking of Kelvin British Summertime, how important would you say a sense of 'place' is in your songwriting? Do you feel overtly Glaswegian (or Scottish/British/European/what have you) as a songwriter? I think songs work best when you write what you know about... The most interesting things can't be made up - although there's always room for a bit of poetic licence. So Glasgow is the place I know the best. I have just written a new song about a road trip to Wales. A sense of place isn't the main thing however. I like the idea of exploring archetypes - for example, Kelvin British Summertime came from an attempt to do a song like Darlinghurst Nights by The Go-Betweens - places and people from a period in your youth. I'm sure there are many other songs that fall into that archetype, what ever it's called. What next for Lenzie Moss (short and long-term)? Is there going to be a physical release for Introducing? We're planning the next single - Where Eagles Dare (remixed) - and the physical release of the album on vinyl and CD for the end of March 2013. We’re also planning a short UK tour in early April. Hopefully festivals will follow and after that who knows! I'd like to just keep doing it at any rate and go on to the next album when we can. The current trend of constantly releasing singles and EPs isn't for me… I still believe in albums. Some things are worth waiting for! 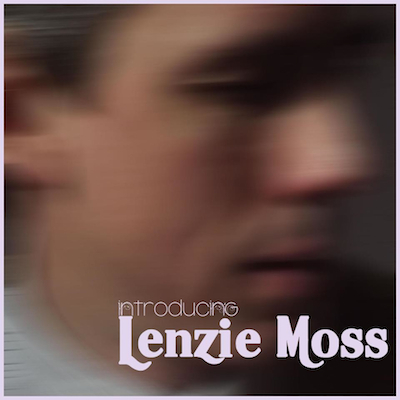 Lenzie Moss’ debut album is available to download now, with - as stated above - a physical release to follow in March 2013.